The perfect complement to a cruise on the Straits of Malacca is a land cruise on the luxurious Eastern & Oriental Express which operates frequent 3 day/2 night journeys between Singapore and Bangkok. 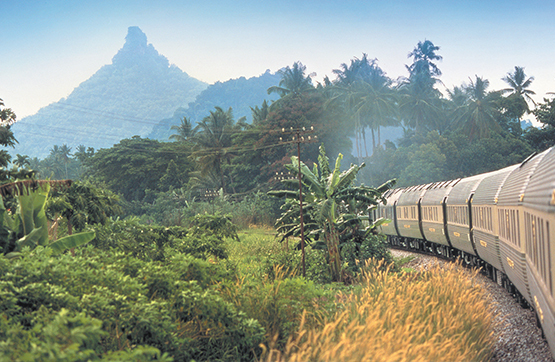 This is a ‘close up’ experience of travel to Malaysia and Thailand that includes deluxe and luxury cabins, each fully air-conditioned with ensuite bathrooms and tasty local specialties served in the dining cars. In Malaysia, Destination Asia also provides land excursions to Penang or Kuala Bangsar during day journeys. We start today with a walk through a spice garden, the original site of the first Botanic Gardens, to uncover the intricacies of the spices and herbs that go into Peranakan cooking. We then visit the bustling enclaves of Katong & Joo Chiat, showcasing the rich and baroque Peranakan architecture. 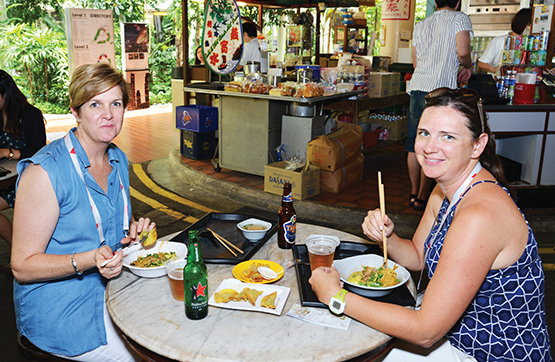 We sample Nyonya delicacies along the way before visiting a Peranakan mansion and meeting a fourth-generation Peranakan Singaporean – and highly respected authority on all things Peranakan. For lunch, enjoy a steaming bowl of Katong Laksa, before completing the experience with a visit to the elegant Peranakan Museum.